With the advent of technology our lives have become somewhat ‘mechanical’. All the machines and gadgets are doing the physical works for us while we spend more time using our brains in front of a computer console or a TV monitor. We are gradually forgetting the morning jog or the long walk to our schools, universities, workplaces or the bus stops. Today our children prefer a computer game to a soccer match in the field. After long working hours at office, we get too tired to spend some time even on the treadmill that we have bought. We eat without even knowing what actually our body needs. In this overall picture of unplanned diet, less physical activities and exercise, we grow fat in our body system. We become obese and look ugly. But again we do not want that either. So we look for easy ways and means to lose weight. This psyche has brought a boom in the so called ‘weight loss industry’ – a multi billion dollar industry selling products that boastfully claim to trim your weight. So what does ‘weight loss’ mean really? In the context of intentional weight loss, it is the loss of total body weight to improve health, fitness and appearance. If you are overweight or obese according to the standard Body Mass Index (BMI), losing the extra weight is very important for you to ensure a healthy living. Obesity alone can be the cause of many complex diseases including diabetes, blood pressure, stroke, heart disease and certain types of cancer. Losing your extra weight generally means losing the fat tissues while preserving muscle or fluid. Although there are hundreds of products and programs for weight loss, the process of losing weight is not as easy as the product labels read or the TV/newspaper commercials brag about. The best therapeutic technique of weight loss is the one that all doctors prescribe – diet control and exercise. Unfortunately for many of us, these two simple suggestions are often hard to follow and we rather prefer an easy way round, for example, we would rather have weight loss pills than do an hour of jogging. - Count calories – Learn to read the food labels to find out the caloric content and serving size. Make a comparison between different brands of food items before you decide to buy and eat them at home. - Smart snack – When you are too hungry, you tend to eat more. Avoid overeating by not being too hungry at a time. Taking something in every three hours would help you preventing hunger. Fruits are more fruitful in smart snacking. 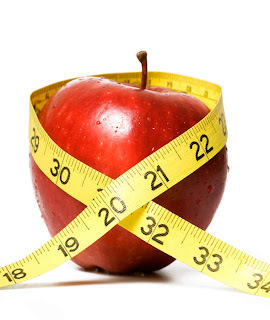 - Take more grains and produce – Grains and produce together with fiber are low on calories. They give you more nutrients and keep you disease free. They are also great weight loss agents. - Eat enough – Never cut your meals altogether. Skipping your meals does not help you lose your weight. You should eat enough and NEVER overeat – that is the key. - Drink enough water – Grow a habit of drinking plenty of water daily. Try to replace your high-calorie drinks like Coke or Soda with water. That will kill hundreds of calories. - Exercise! Exercise – The best way to lose weight is through regular physical activities like jogging and other exercises. Exercises boosts metabolism which is helpful in losing weight. Weight loss is never an easy thing to do. It is always better to prevent a situation where you need to lose weight at the first place. Following a healthy diet and regular exercise would keep you physically fit and mentally sound. You will not need weight loss pills or a ‘crash dieting’ if you make a little compromise in your food habits and idle times.